We incorporated 3D solid design in 1995, and since then, we have been using it for product, die and jig design. 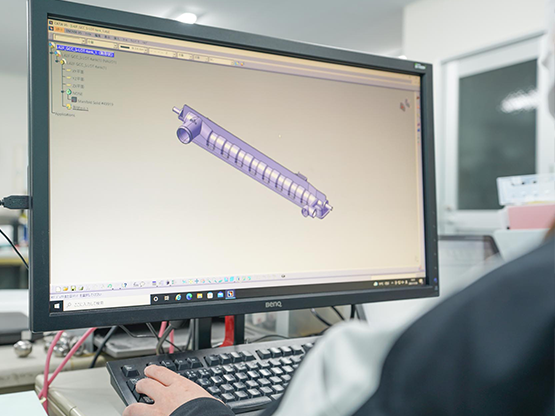 From the design stage, we verify feasibility, ease of machining, and productivity in a form close to the real thing to improve design quality. We share 3D data in production engineering activities, mold manufacture, quality assurance, and for improvements in product quality. We employ UG-NX and CATIA V5 parametric software in mold design. We developed a mold system which we can apply to the mold design of various products by making templates of mold parts like mold base and/or sliders. By adding the know-how of experienced designers into templates, our design quality has improved and we have eliminated design quality variation regardless of individual worker’s experience. 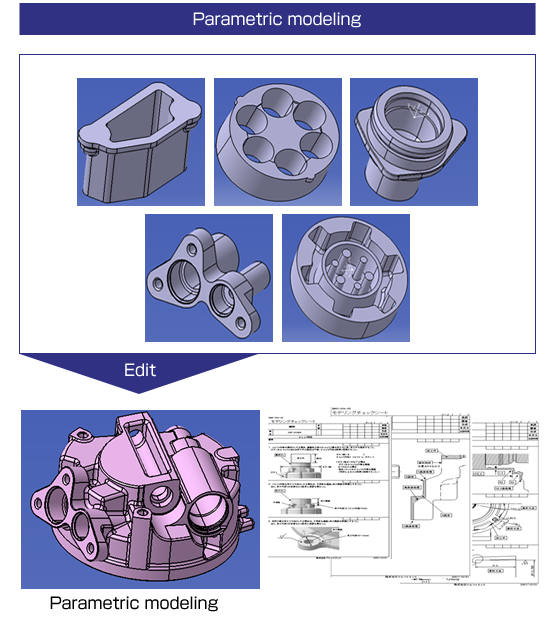 We are improving design quality with 3D design, and reducing design time using templates. We verify product design requirements, feasibility, and productivity from the start, implement the necessary measures, and provide it as product data. We have developed a system to register defects in our design check sheets and utilize them for design verification of similar products. 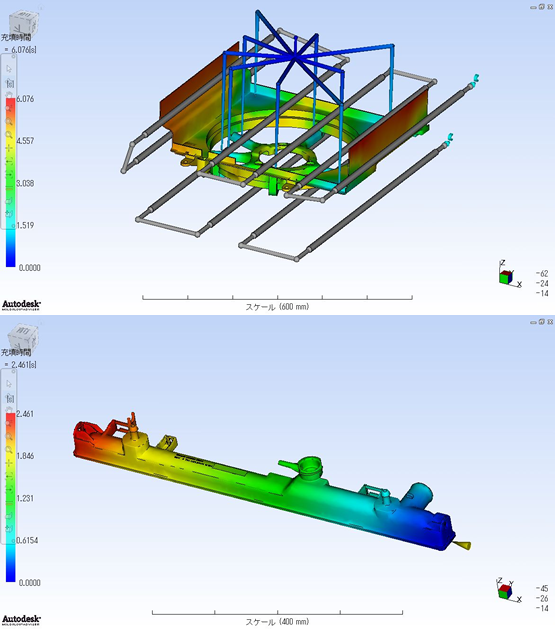 We employ CAE Mold flow, predict defects in advance, and propose the necessary measures to improve design quality.